Fiberglass Pool vs. Vinyl Liner vs. Concrete – Which one’s the best for me? Fiberglass vs. Vinyl Liner vs. Concrete – What’s the best option for me? There is a lot of debate about what type of pool is best. Our goal is to provide you with an honest look at the advantages and disadvantages of each. Whether you live on the Outer Banks, Currituck, Elizabeth City, Edenton, Virginia Beach, or Chesapeake – this information will assist you in making an informed decision. Southern Scapes Pool & Landscape Design install fiberglass pools because we believe it offers the best quality for your money. Adding a swimming pool is a major investment, and we want you to have an honest look at the benefits and drawbacks of each type. Contact us today for a free quote! • Warranty: Most fiberglass pool manufacturers offer lifetime warranties on the shell. All of the pool lines we carry have lifetime warranties! • Fast installation: Because the shells of fiberglass swimming pools are built off-site, the installation is much quicker than other types of pools. The shell can typically be set in 1 to 2 days…and ready to swim within a few weeks! 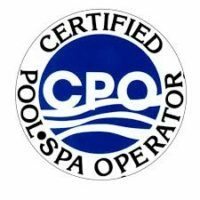 • Little maintenance: The gel layer of a fiberglass pool layer is nonporous and does not alter the chemical balance of the pool. This layer stops the development of algae and reduces the amount of chemicals required. Maintenance is typically less than ½ hour a week. Algae easily sweeps off with a brush. • Requires less electrical use than vinyl liners and concrete: The water only needs to circulate about 4-6 hours daily. • Minimal if any life time cost: There is no resurfacing or plastic liner to replace. Very rarely will one have to spend any money on a fiberglass pool. • Non-abrasive interior: The inside of a fiberglass is always smooth to the touch. You will not scrape your skin or pick your bathing suit with this type of pool. • Built-in features: Many fiberglass designs include seating and all have steps that are built into the pool mold. There is not an additional cost like vinyl liners and concrete pools. • Manufactured in controlled environment: Fiberglass pools are built inside a climate-controlled factory allowing for greater quality. • Better initial cost: Fiberglass pools are only slightly more expensive than a vinyl liner pool for the initial installation. Concrete is more. Loan acceptance is best with fiberglass pools. • Limited types and designs: Fiberglass pools are built by molds, limiting one’s choices to the models provided by manufacturers. However, new models are constantly being added. • Width limitations: Fiberglass pools are freighted. The width of most fiberglass pools is 18′ or less. • Initial expense is slightly lower than other pool types. Vinyl Liner Pools typically have lower initial cost than other types of in-ground swimming pools. However, they will have to be replaced after a few years or if punctured. However, loan acceptance is less than fiberglass or concrete pools. • Customizable kind and measurements: With liners, there are less size and circumference limitations than fiberglass. • Vinyl liner swimming pools are nonabrasive: The plastic liner material is sleek to your touch. • Maintenance: Maintenance is less than a concrete pool, but more than a fiberglass pool. Proper maintenance takes about 2-3 hours a week. • Greater life time expense: On average a plastic liner can last about 7 years at a replacement expense of at least $2,500-$3,500 and the cost of water. The process is more labor intensive so you will need to consider this as well. • Manufacturing varies by installer: The liner of vinyl pool is manufactured in a factory. However, the quality of the on-site assembly depends on the installer. • Liner warranties are minimal: Many plastic liner manufacturers have extremely poor warranties. Often the warranties only cover the seams. Definitely, inquire about the warranty prior to considering installing a liner pool. • Easily damaged: If you will have kids or animals in your pool…a liner is not right for you. Liners are easily punctured by pets and toys. The liner is about 20-30 mil dense, which is the width of a quantity of a few sheets of paper. One mistake could cost you big! • Algae: The seams harbor algae and require more maintenance and chemicals. • Built-in features: Steps and seating are optional and an additional cost. The surface is also slippery compared to concrete and fiberglass. • Reduced offering value: If you plan to sell your home and include the pool as a feature, a vinyl liner may hinder you. If the liner is more than 4 years old, potential buyers will most likely consider that it will need replacing sooner than later. Loan acceptance is less than with other pool types. • Most adaptable to size and shape you want: Concrete swimming pools can be any measurements, type, or level. • Flexibility with design functions: Vanishing edges, tanning ledges, etc. can be incorporated. Again, many fiberglass pool manufacturers know this and are creating new models to compete in this area. • Costly: Concrete pools are the most costly of the three types of pools. Features such as steps and seating are additional. However, loan acceptance is good for concrete pools. • High life time cost: Concrete swimming pools should be renovated every 10-20 years or less depending on how it is maintained. Re-finishing is often required every 5-7 years. This calls for resurfacing and/or re-tiling with the average price tag of $5k-$15k depending on the pool and contractor. • Substantial maintenance and chemical use: Concrete pools require more chemicals use and maintenance because concrete swimming pools are permeable. The plaster reacts to the water increasing the pH levels. Therefore, a great deal more chemical is needed to keep it balanced and to stop algae. Because the surface is porous, it harbors algae in the gunite, which requires acid baths and substantially more scrubbing. The need for additional chemicals is very costly over the lifetime of a concrete pool. It also requires more regular brooming or sweeping than fiberglass or vinyl pools. Average maintenance time for concrete pools is 4-5 hours a week. • Longer install time: Concrete swimming pools take much longer …usually 2-4 months. • Warranty and Quality: Contractors typically offer only a 1-5 year warranty. There is no environment control because the pool is built onsite. • Electrical use: Water needs to circulate about 8-10 hours daily, which requires more electrical use than vinyl liner or fiberglass pools. As you can see, there are advantages and disadvantages to each type of inground pool. This honest comparison of the three types of pools – fiberglass pool vs. vinyl liner vs. concrete should help you decide what is best for you. Subscribe to our monthly newsletter and get these amazing tips right in your inbox once a month!